The Summer Run program is ideal for athletes looking to prepare for their best cross country season this fall, cross train for another sport or begin running for the first time. We have teams and coaches that allow athletes to grow from group to group depending on their individual goals. We have separate groups for grade school, middle school, incoming freshman and high school. If you’re looking to get ready for Cross Country this fall, look no further! We offer training options for most age groups and abilities with an opportunity to get your mileage in a group setting up to 5x a week. Don’t miss this opportunity to make this XC season your best! Endurance and stamina make every athlete better. This means more field time and better endurance later in the game. If you’re a soccer, lacrosse, or football player – running will help take you further. You need not worry if you’ve never run more than a mile, we have the groups to help you advance your current running fitness. We build athletes through drills, endurance runs, strength training, and team building. Athletes can attend as many or as few practices as they’d like. Traditionally, athletes have found 3-4x a week with 1 day of strength, and 1 structured workout day have helped propel their fitness to new levels. Wondering if your 8yr old boy or girl would fit in here? Absolutely! Our Development program is all about developing structure, as well as self confidence, and fitness. Through deliberate play, run focused games, and adventures we help kids get running without even knowing it. 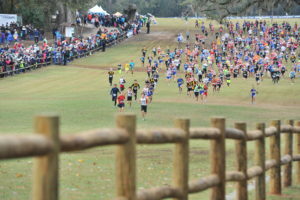 We will introduce them to every corner of the sport from road to track races, and trail running adventures. This summer get your kids running – they won’t regret it! The Summer High School Summer session is all about building your base level of fitness over the 12 weeks of summer break. The goal of the program is to release athletes to their respective high school program in August fit and ready to succeed all season long. The training program is designed to increase your base level of fitness, build great early season speed, and make you into a stronger more durable runner. We know how long the season is. We build durability and strength in the weight room 2 days per week – we’re not trying to add bulk; we’re focused on building strong hips, body awareness, and build the skills you need to run injury free all season long. The final vital piece of the program is our weekly long run. The long run is a staple of any distance training program and is core to building your mileage during the season – we meet on the weekends in Golden as often as the schedule allows. This summer program is for advanced or high performing middle school athletes, incoming freshmen, and current high schoolers. We work with each athlete individually to set goals and build each athlete methodically through the summer. We believe that taking a little extra time early in the summer to identify these markers allows us to not only review at check points through the season to see progress. It also allows us to build the athlete at the speed they can manage. Our #1 goal is pass athletes off on the first day of high school practice fit, motivated, and excited to race well all season long! This summer program will include a few out of Golden fun runs, optional track races, as well as some team building opportunities on the weekends. Please review the pricing options on the right. 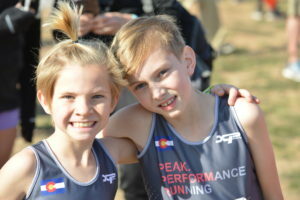 The Juniors summer program mixes in the USATF summer track season and preparation for the Fall ’19 USATF and Middle School Cross Country seasons. 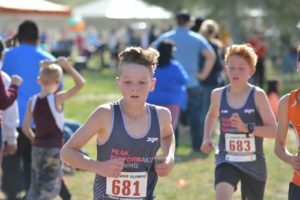 The juniors program focuses on deliberate practice and further developing fundamental skills for racing – pacing, race tactics, nutrition, mindfulness, and strength training. Athletes are viewed as individuals in this program – goals meetings will be set up early in the season to set goals and long term targets. 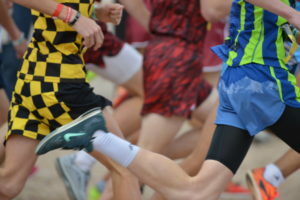 The summer season is prime for track racing options with USATF State, Regional, and National meets. We will also participate in local meets across the Front Range. These meets are a great way to get experience and build fitness for the fall season. Racing is not mandatory but is encouraged so athletes can test strategies and methods learned in practice. Track racing allows athletes not only a chance to check in regularly on fitness; it also allows them to experience new events consequence free. We want athletes to experience everything from the long jump, to the steeplechase, and sprints. Athletes are highly encouraged to participate in the Junior team strength and conditioning. This body weight focused program gets kids comfortable with the very basics of weight training, increasing body awareness, general fitness, and helps balance out inefficiencies that can occur as they grow. This helps athletes grow strong for others sports as well as keep them injury free for a summer of pain free running. Run for fun – all summer long! If you’re looking for a program that offers structured fun runs that will put your athlete on the track and trails of Golden – this is it! Our development program is designed for brand new runners or runners with limited running experience. This program is about getting athletes moving athletes as a way of deliberate play. We believe that fitness and fun can be mixed together and athletes are encouraged to explore and use the runs as a fun time to explore the world around them. The friends they make in this program will give them friends for life. We believe in creating a warm and welcoming environment where our older athletes are integrated into the development of our younger athletes. When the team is devoted to bringing up the athletes who come behind them we create a strong well bonded team! Athletes that gain experience throughout the summer will be invited up to practice with the juniors program when they show ability, maturity, and a more robust competitive drive. Elementary and Early Middle School athletes starting at age 8 are encouraged to join. Practices are 60 minutes and often in direct heat and sun so please come prepared. Athletes will need water bottle and a positive attitude!